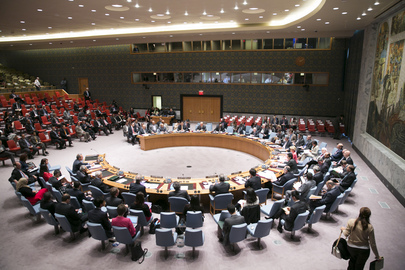 The UN Security Council has unanimously adopted a resolution outlining the details of taking under international control and ultimately destroying Syria’s chemical arsenal. “Today’s historic resolution is the first hopeful news on Syria in a long time,” UN Secretary-General Ban Ki-moon told the council immediately after the vote. The Syrian sides must engage constructively in the upcoming Geneva 2 conference, which would be a significant step towards the “creation of a democratic state that guarantees the human rights of all in Syria,” Moon said in his address to the Council. “The regional actors have a responsibility to challenge those who will actively undermine the process and those who do not fully respect Syria’s sovereignty, unity and territorial integrity,” he added. PreviousMeteorites, Blue Beam,and ISON….A lot of Compiled Info!